What a Friday treat we have for you here. 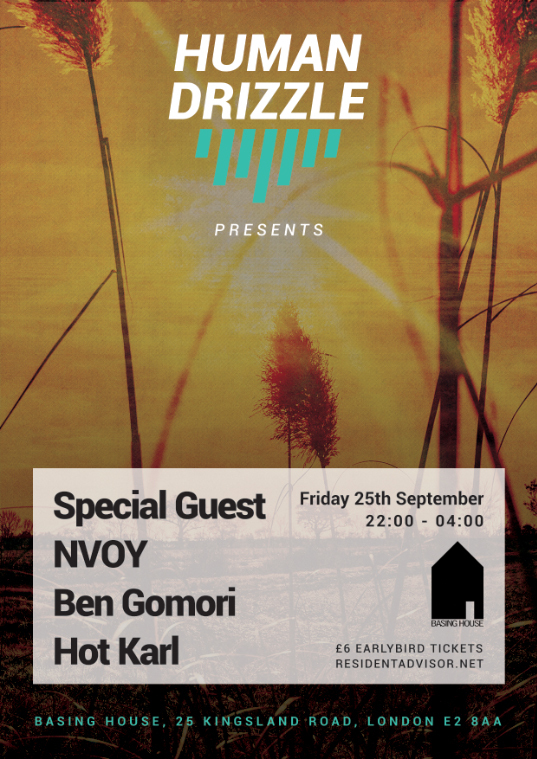 In advance of his set at next week’s Human Drizzle Presents – alongside NVOY and a VVVVIP special guest announced on Monday – your boy Ben Gomori has given us an exclusive recording of his Temple Islands set from Bestival this year. Nothing but big things. As you’d expect, it’s packed with disco and house hits, the Erol Alkan mix of Connan Mockasin into Caribou’s Our Love was a highlight for us. Big finish too. Track info is here and you’ll see an exclusive future Monologues Records (Ben G’s label) release peeking through the list – this comes complete with a video of its first ever road test. We CANNOT wait to see Benz in action next week. You’d be a fool to miss it. Get an advance ticket now for the eminently reasonable £8.